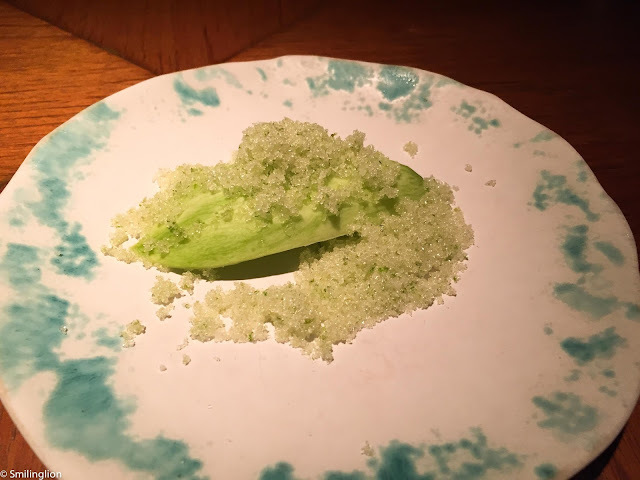 David Thompson's Nahm has been a prominent fixture in the international fine dining scene in Bangkok for several years, even if it has recently been overshadowed by the modern Indian phenomenon, Gaggan. 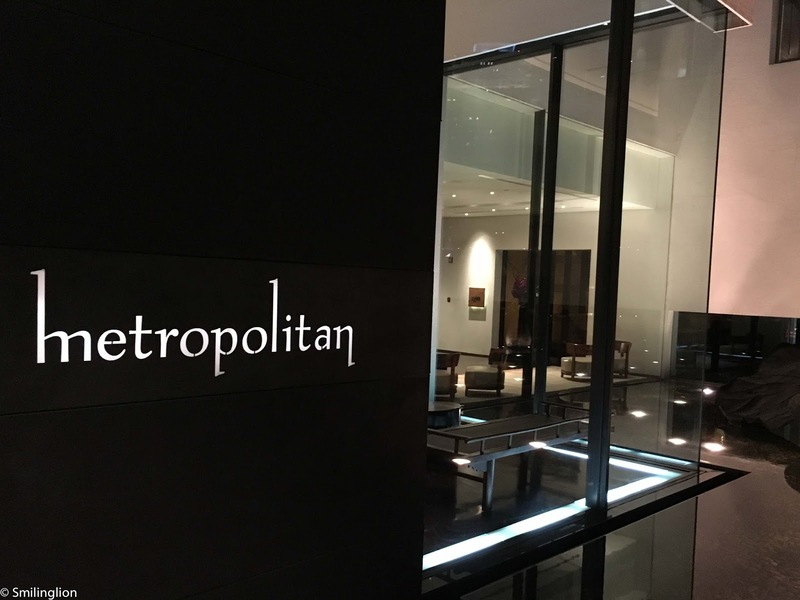 The latter has also eclipsed Nahm in San Pellegrino's Best Restaurant in the Asia list having taken over the number 1 spot, which Nahn had a lock-on for many years prior. Located in the über-chic Metropolitan Hotel along Sathorn, Nahm has a simple yet elegant ambience dominated by dark wood and dim lighting. At night, there are tables outside which overlook the pool, which is a romantic option during the cooler months. We have dined at Nahm several times over the years. 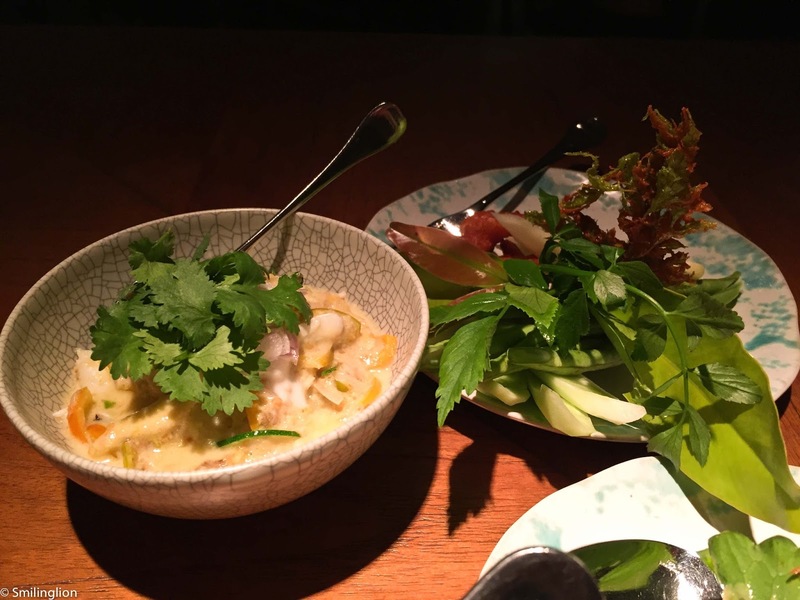 When it was first lauded as the 'best restaurant in Asia', we didn't have very good meals here, and always felt sceptical that a Thai restaurant run by a non-Thai in Bangkok could be regarded the best Thai restaurant in the world. In those days, we didn't even think that it was the best Thai restaurant on the street. Our earlier meals here were disappointing because the cuisine was too unbalanced, being too strong on the salt and the spice, and disregarding the other two key flavours of Thai cuisine; namely the sour and the sweet. We felt that the food was prepared in accordance with western perception of how Thai food should taste, hence losing its authenticity. 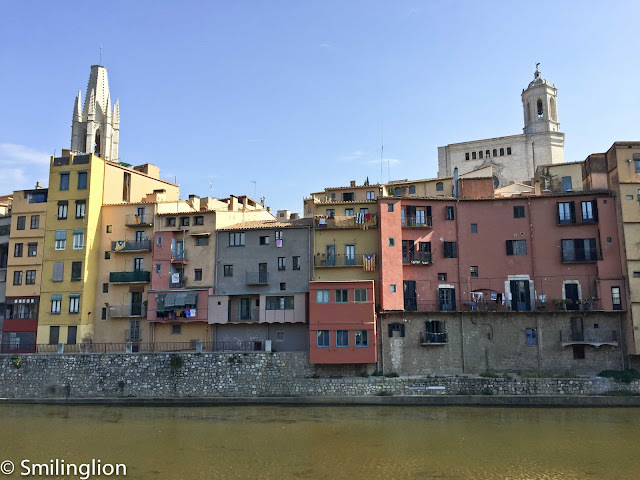 However, in the past year, we have started to enjoy the cuisine here. 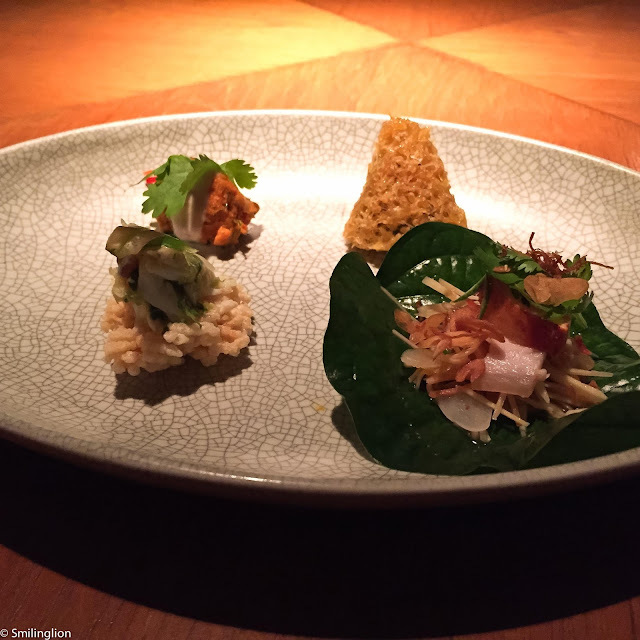 Whether it was because our tastebuds adjusted and learned how to appreciate the style of food here or if subtle changes to the flavours were made by the chef, we have had some very good meals at Nahm to the extent that it is now an unmissable dining destination of ours when we visit Bangkok, which could be as often as every month. 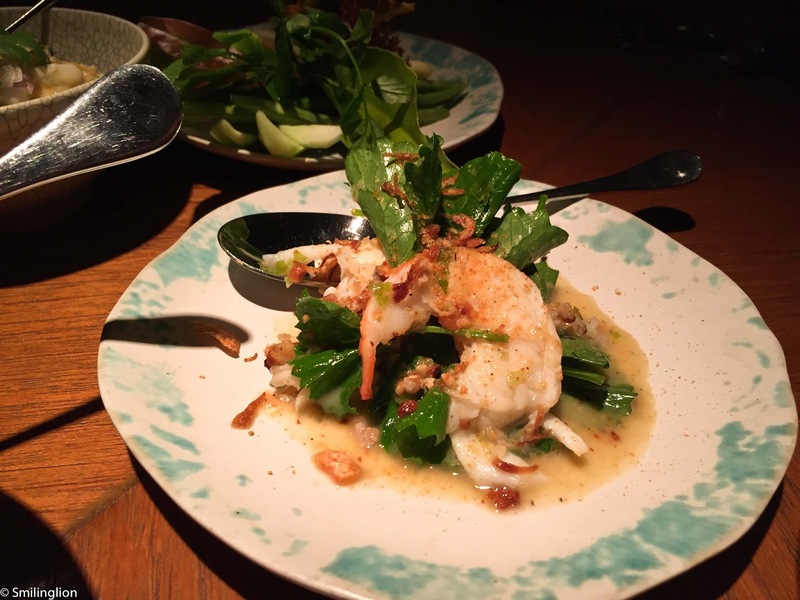 In fact, we recently ate at Nahm's sister restaurant in Como Phuket and thought it was brilliant as well. 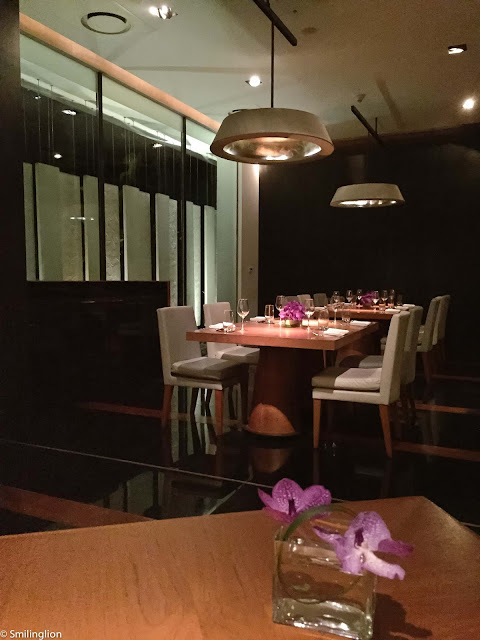 If we avoid determining whether Nahm is the best Thai restaurant or whether its cuisine is authentically Thai, and just enjoy the cuisine as it is, we have to say that this is a very good restaurant. The menu there is quite extensive but we have come up with a list of our favourite go-to dishes: The duck soup is amazing. Slightly sweetish and not too spicy, it was simply addictive. The blue swimmer crab curry is the best curry in the list in our opinion. The Wagyu beef was luxuriously flavoursome and tender. 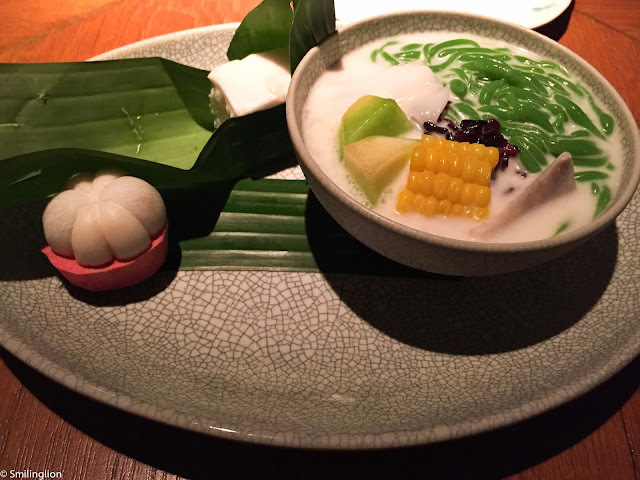 And the pandanus noodles dessert was refreshing without being too sweet. 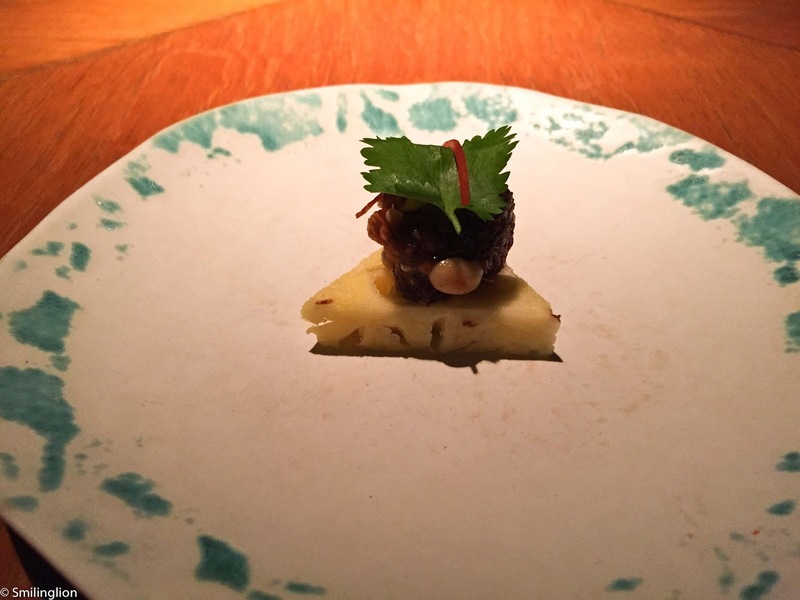 Caramalised cane sugar with minced pork and nuts on a pineapple. (1) Blue swimmer crab with peanuts and picked garlic on rice cakes, (2) egg nets with prawns, wild almonds and kaffir lime, (3) pork and lobster with shredded ginger and thai citron, (4) steamed red curry of scallops with thai basil and coconut. 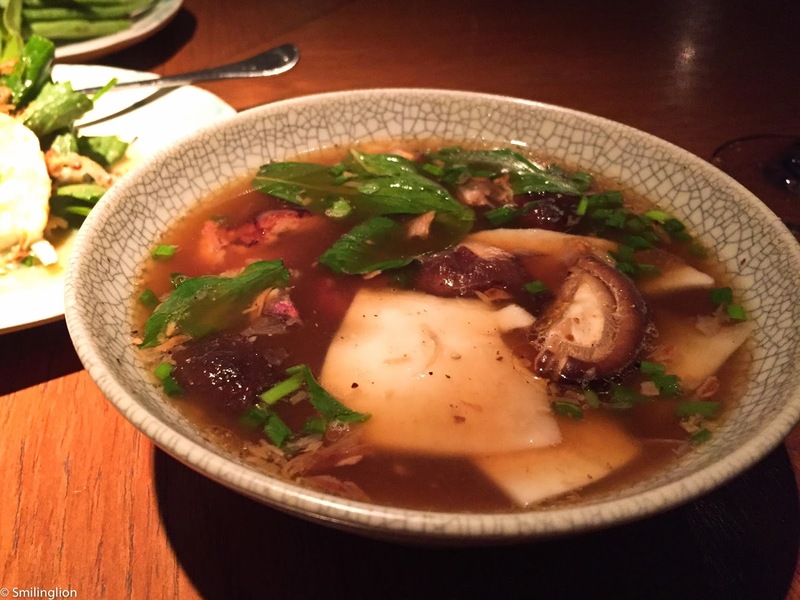 Clear soup of roast duck with Thai basil and young coconut. 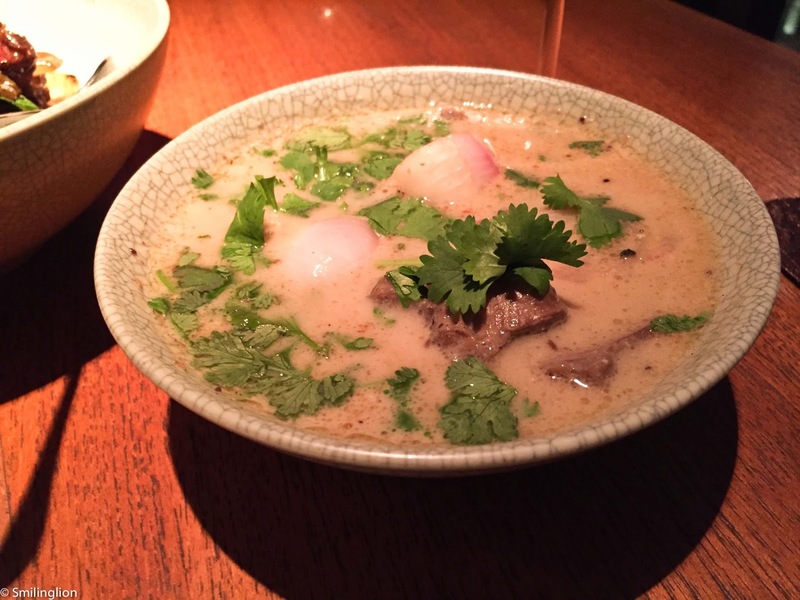 Coconut and oxtail soup with red shallots. 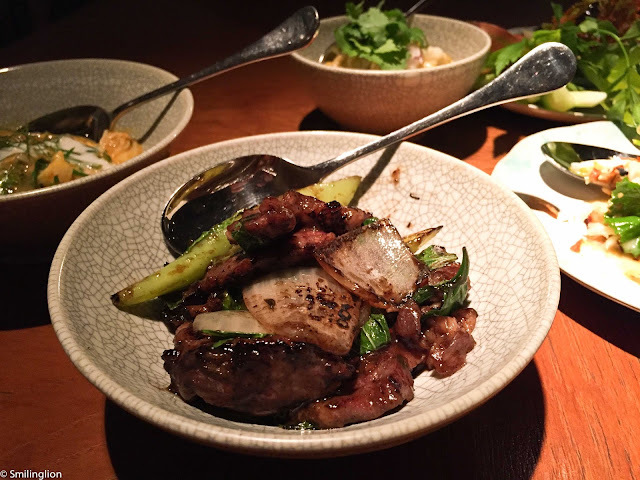 Stir-fried Wagyu beef with charred onions, oyster sauce and Thai basil. 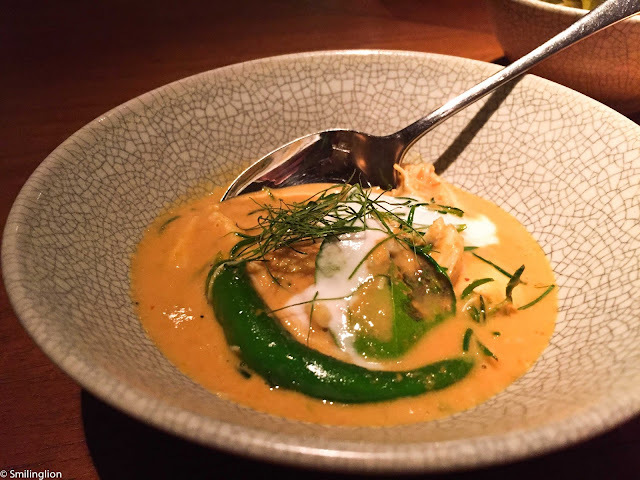 Coconut and turmeric curry of blue swimmer crab and calamansi lime. Pandanus noodles with black sticky rice, water chestnuts, tapioca and coconut cream.